The BJP-led NDA Government is receiving extreme criticism from some political parties, insurance employees unions over Insurance Laws (Amendment) Bill since the Union Finance Minister Mr. Arun Jaitely hinted to hike FDI ceiling in insurance in his recent budget speech. 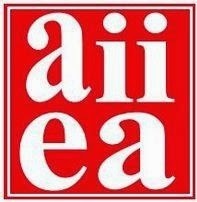 The All India Insurance Employee Association (AIIEA) and The Insurance Corporation Employees' Union (ICEU) have come strongly against the bill. Alleging the government's move, AIIEA General Secretary Mr. V. Ramesh said, “Increasing FDI limit in the insurance sector from 26 to 49 per cent is nothing but further liberalising the economy." “Interestingly, it was the BJP that kept opposing the bill every time it was tabled in the House. The party opposed the bill for six years in a row. As soon as it came to power, it is holding discussions for the bill's passage," he further said. “Since the US secretary of state Kerry is on a visit to India, it looks like this is what our government is offering him as a gift," he added. According to ICEU, increasing FDI limit in insurance sector will hurt the interests of public. It is apprehended that foreign companies will be able to move domestic savings which are infused in the insurance sector by millions of people. The long awaited Insurance Laws (Amendment) Bill, which proposes to raise FDI (foreign direct investment) cap in insurance to 49 per cent from 26 per cent has been pending in Upper House of the parliament since 2008, due to the opposition of the BJP.